This is a review quite different from what we are used to, it’s about a whole series and not just one book. The reason for this is that I waited a looooooooong time to start this series, until it was finished (which is totally what I will do from now on when a series starts getting all the buzz like this one). Anyway, I love faeries and faeries stories, and if you mix faeries with romance nothing can get in my way until I have my hand on it. Or, to be perfectly honest, the only thing that can get in my way is a cliffhanger ending, which is THE definition of this set of books. My first recommendation: if you are planning to read this series buy all the books first, otherwise the angst is going to kill you. I read the whole five books in four days which means that I didn’t work on my dissertation during those days and my sleep time was full of dark and scary shadows. 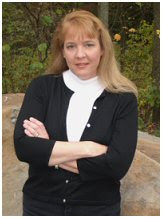 If you are a fan of contemporary romance then you must be familiar with Susan Andersen’s books. Because her latest books have been a bit of a hit and miss for me I wasn’t aware that this book was the last one of a trilogy but the synopsis was so interesting that I just wanted to read it. I’m glad I did. After realizing that Playing Dirty was part of a series the first thing I did was get the previous book Bending the Rules. The books are related but I think that they stand alone quite well, I haven’t read the first one but I don’t feel like I missed anything. This series is about a group of friends that just inherited a mansion and they are remodeling it in order to sell it. This is the background in which each story takes place. Playing Dirty is Ava’s story. When she was in high school she was overweight and insecure about it, she had an overbearing mother who was constantly criticizing her. Ever since she was little she has been butting heads with Cade Gallari. Everything changes while they get assigned to work on a school project and start spending time together, in a short amount of time they become friends and she ends up losing her virginity to him. The day after, when she enters the cafeteria, she finds out that Cade slept with her because his friends dared him to sleep with the fat girl. Fast forward ten years and he is back in town and needs Ava’s help to film a documentary about the mansion and its former owner. Ava is not happy about it but needs the money, there is a lot of chemistry between them and Cade has changed, but can Ava forgive and forget? That’s up to you to find out. 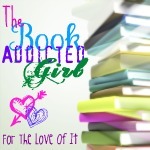 Today's featured blog is The Book Adicted Girl. Let's say hello to Megan who runs the blog and remember to stop by an follow! Today we have a special host. If you are a fan of Romantic Suspense then you probably know about her and if you don’t then here is your chance to change that. 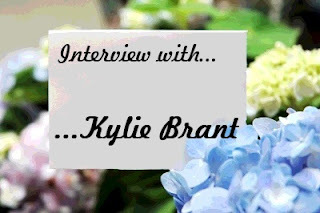 Please let’s give a warm welcome to Kylie Brant. 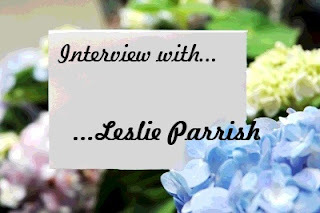 You probably know her from her Mindhunters series but she is also the author of several Silhouette Sensation and Silhouette Intimate Moments novels. Her newest book, Deadly Sins , is the latest addition to the Mindhunters series and it hits the stores next week. Of all of Harlequin lines, Superromance is hands down my favorite one (closely followed by Medical Romance). 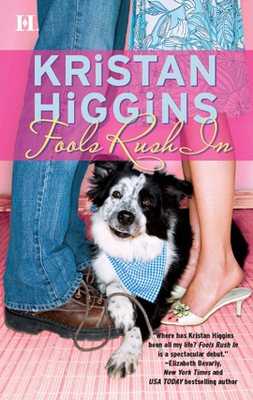 These books can be a bit misleading, just based on the cover and the blurb one might expect a light romance, but what you get is so much more than that. The stories deal with serious topics and more than once I find myself crying. One Good Reason delivers all of that and more. If you are not familiar with Sarah Mayberry don’t waste more time and go get her books. This book is a sequel to The Last Goodbye. If you haven’t read that one I don’t think you will have any problems following the story but I do recommend that you read them in order because The Last Goodbye is a great book, One Good Reason’s leads are introduced there and the backstory will make you much more emotionally invested in the characters. Today’s featured blog is We Fancy Books, don’t forget to stop by and follow them! My two favorite authors in the world are Nora Roberts and Michael Crichton. Unfortunately Michael died two years ago so meeting him would be quite difficult and scary. I’m not sure if I want to meet Nora though, because I will pee my pants and scream like a little girl who just got a pony for her birthday and that would be embarrassing. My third choice has to be Meljean Brook, I’m obsessed with her books and at this point if I could only read one book a year (which would be a tragedy so know on wood) it would be one of hers. 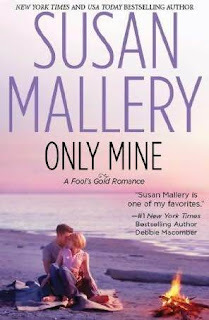 Susan Mallery is one of my favorite authors. I think I have read pretty much everything she has written and I get really excited when one of her new books is about to come out. When I saw this book was available on NetGalley I was very happy and even happier when they send it to me. Only Mine is the first book of the new trilogy set on the town of Fool’s Gold. 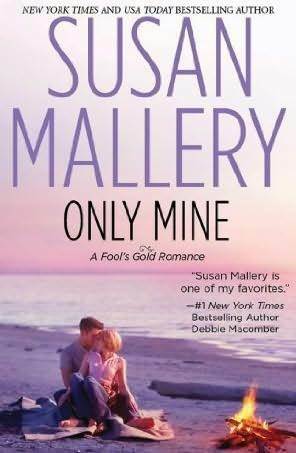 If you are a fan of Susan Mallery you know that this book is a continuation of the series that started last year. I think you can start reading this one because there are no spoilers for the past books, but I think you should read the others first because that way you will know more about the town (and believe me, the town is a huge part of the book’s charm) and the people who lives there including this book’s heroine. A Summer Reunion is an anthology that is a bit different to what I’m used to reading. Usually -or as far as I’ve seen- anthologies have a very broad theme in common but each novella has nothing to do with the other. 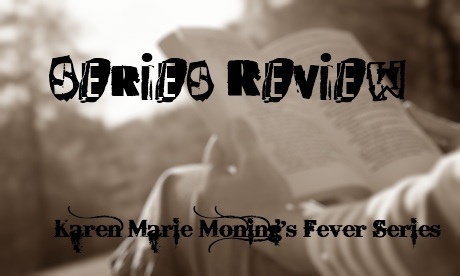 In this case each story is closely related to the previous one and in the end you feel like you have read a novel instead of three different novellas. 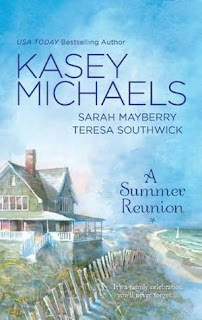 The common thread of the book is -you guessed it- a summer reunion. Maggie, Tory and Stephen where kids when their parents died. They were adopted by different people and thus never saw each other again. More than fifty years later Tory’s daughter managed to find Maggie and they are finally reunited, it’s a bit of a bittersweet reunion because it turns out that their brother died a couple of years before. Maggie decides to throw a big party to celebrate her sixtieth birthday and that she got her sister back. I’m going to start just with this phrase: the hero is a veterinarian. If that’s not enough for you to go and pre-order this book I don’t know what else to say, well I could try saying that he is shirtless and holding a kitten! Come on, if you are not melted by now then you are made of stone! Jill Shalvis is one of the reasons why Contemporary Romance is my favorite genre. She can do comedy and drama and her books are entertaining and touching. Her heroes are dreamy and her heroines are down to earth and likeable. This year I’m anxiously waiting two of her books, this one, book two in her Animal Magnetism series and Head Over Heels , the last book in the Lucky Harbor series (I’ll tell you more about it on some other WOW). Animal Magnetism was one of my favorite books of this year and I can’t wait to read the next one. If you haven’t heard about this author I think you should go and randomly pick one of her books because she is that great! Animal Attraction comes out in October so there’s still a bit of a wait but I think it will be worth it! 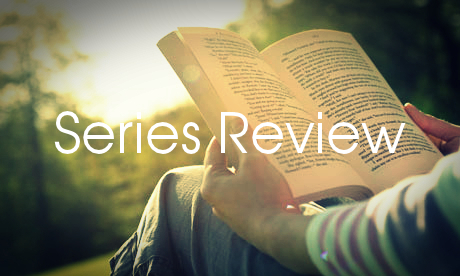 If you are an animal lover then this series is perfect for you. Today’s feature blogger is Lisa from Read. Breathe. Relax. Don’t forget to stop by and follow! This is going to sound like a cop-out but I don’t bother finishing books that I don’t like, not even to see how the train wreck ends. There are some pretty awful books that I haven’t finished and some series where the first book was quite good or showed promise and then it just went down. The thing is that because I try to read as many reviews and references before actually getting a book this doesn’t happen often and I almost never do impulsive buys. Now, the worst book that I have read was Flowers in the Attic by V.C. Andrews, the thing is that I kind of liked that one in a creepy-disgusting-I-can’t-believe-I’m-reading-this-crap-and-liking-it kind of way and I felt really dirty afterwards (which didn’t stopped me from going and reading the rest of that series, which BTW is a WTF-fest even worse -in case you were wondering-). So there you go, I’m disgusting. Gotta go now because Jerry Springer is on! Don’t forget to enter our giveaway, it's the post before this one. I’m choosing the winner today at 5pm EST so you still have time! 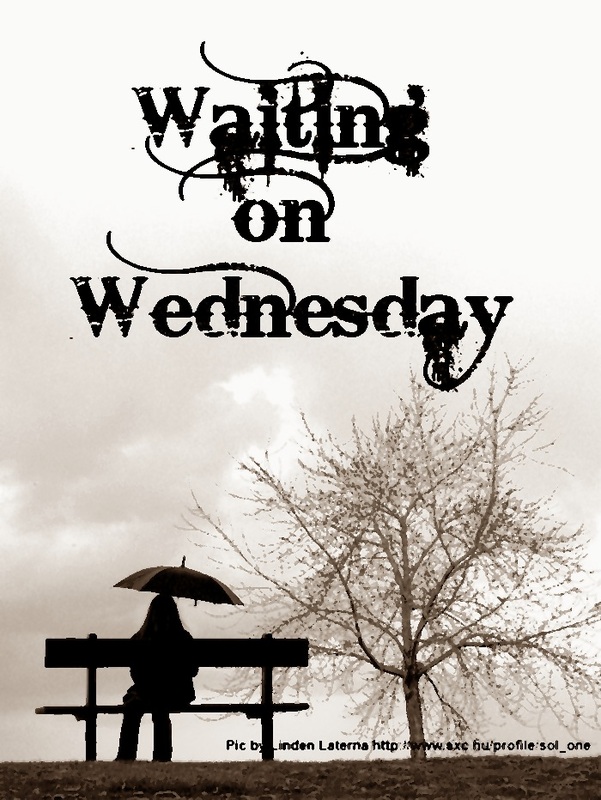 Today I’m thrilled to welcome an author that’s on my auto-buy list. Her name is Leslie Parrish and she writes fantastic romantic suspense. Her latest series also has a paranormal touch and I’m totally hooked. Today is a happy day because the second book of that series, Cold Touch , is finally available for everyone to read and I know that you will love it as much as I did.